28/02/2017 the Royal Health Awareness Society (RHAS) has signed a partnership agreement with Markaziya – Toyota Jordan, according to which Markaziya is offering RHAS one car to use in its program implementation, as well as partnering on RHAS’ “Think First” program, which promotes road safety. Signing on behalf of RHAS was Director General Hanin Odeh, and on behalf of Markaziya was Deputy Director General Nadim Haddad. By signing this agreement and offering its in-kind contribution, Markaziya has become a main RHAS partner on the “Think First” program. “Think First” aims to integrate injury prevention measures in the daily lives of children, as well as to practice the necessary safety habits, which minimize the risk of sustaining brain or spinal cord injury, especially in terms of pedestrian and road safety. The implementation of the program will be through 20 public schools working with RHAS. In accordance with this agreement, both parties will conduct road safety awareness sessions, and will push general safety messages on their social media platforms, as well as smart phone applications. RHAS Director General Hanin Odeh commended Markaziya’s initiative and support of RHAS programs, especially ones that pertain to road safety. “We are proud of RHAS’ multitude of initiatives concerning road safety, which we have been implementing for years now. Road safety issues pose a real risk on our children’s lives, unless we raise awareness in this regard and instill values of general and road safety in them, which enables them to practice it at an early age. 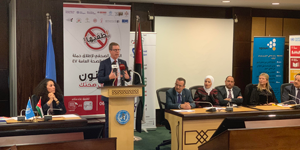 We are very proud of our partnership with Markaziya – Toyota Jordan as a private-sector partner specializing in the automotive industry, which prioritizes health and general safety issues through its CSR initiatives. 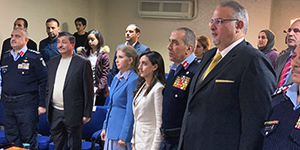 I am positive that we will be able to create truly unique activities through this partnership, which will raise awareness on this issue among all social segments, especially children” says Odeh. As for Deputy Director General of Markaziyah Nadim Haddad, he highlighted the importance of this partnership, saying that “we, at Markaziya, believe in mitigating the losses caused by car accidents, and promoting road safety practices among individuals. We also believe in the value of investing in the youth, so we are quite happy to be supporting “Think First”, which RHAS implements in several schools around the Kingdom. We are proud of the efforts RHAS has put into raising health awareness, and we aspire to be a consistent part of these efforts, which eventually impact our nation and society as a whole”. New study shows enteric-coated aspirin does not work as well as regular aspirin in stopping platelets from sticking together.